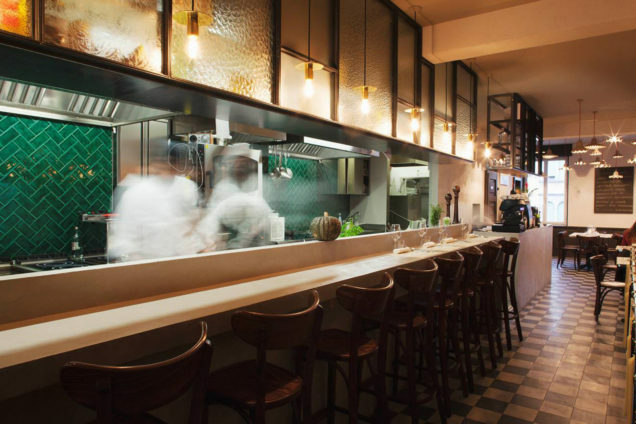 Style and good taste in the kitchen: Ristorante Farroni’s kitchen. The art of designing and then creating a warm and welcoming atmosphere paying great attention to materials and finishes. This is how Architect Filippo Saponaro ‘s recent project came to life, a project designed for the Farroni Restaurant in San Daniele del Friuli, and realized in cooperation with IdeaEffe. The vintage style and “old times” atmosphere of the restaurant have been achieved thanks to a great amount of research by Architect Saponaro. 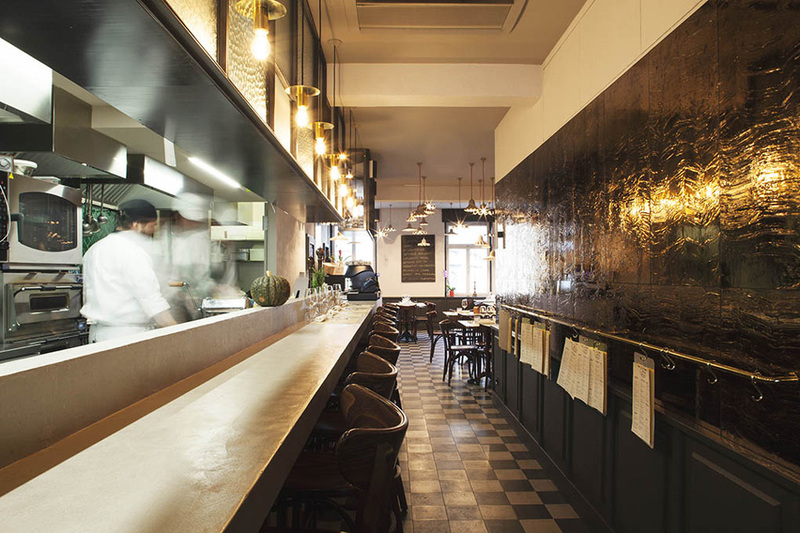 He chose the Kraklé tile collection by Tonalite to bring life to a central area of the restaurant, its kitchen. 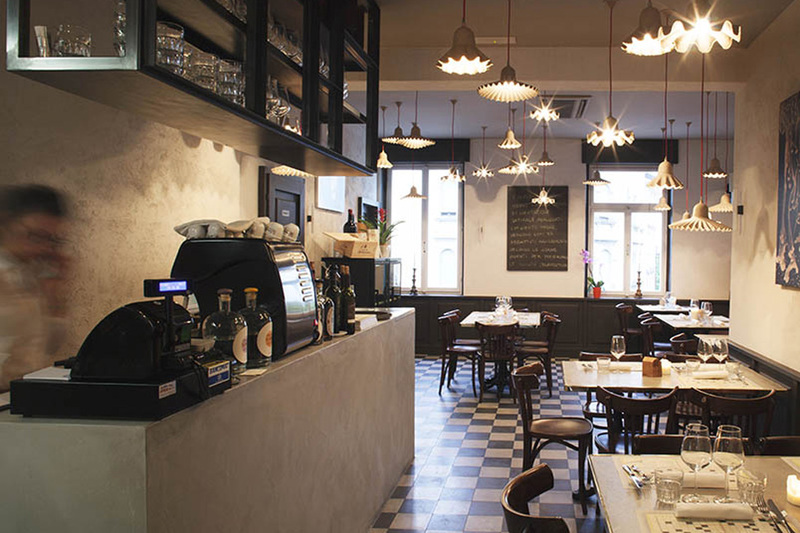 The Farroni is a bistrot-style restaurant with an open kitchen giving directly on the main area. Clients can watch as their food is being cooked and they can follow the Chef’s to and fro along the kitchen’s bottle green wall, a very trendy colour for 2016. 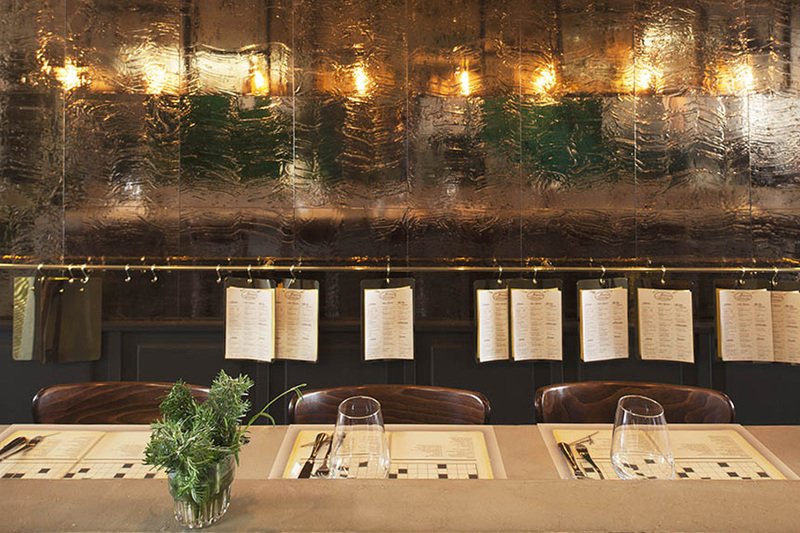 This project has been selected to take part to the Restaurant And Bar Design Awards 2016.